I think etsy has some nose warmer meerschaums. Pretty pipe. I'm always wary of etsy or ebay meers. I like a nice open draw in my pipes, and I'm afraid of getting a pipe with one of those tight plastic mortise/tenon inserts. I won't hold my breath while the review on these start trickling in. Maybe that’s why the wall thickness of the shank is so extreme. 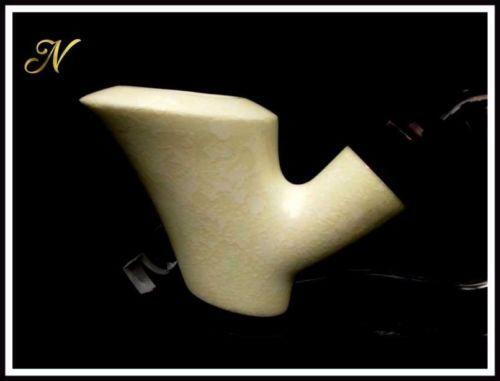 9 months old blackmeerschaum with briar tenon. How is the briar mortise attached? Is it threaded into the meerschaum, or using an adhesive? How deep into the shank does it go? Is there gap created between the airhole in the bowl and where the briar mortise starts?